We love to feature the talents of amazing photographers on our blog and when they have photographed real brides adorning our accessories we are doubly excited! Today, we’re thrilled to share with you the beautiful wedding day of Melanie and Tom photographed by the super-talented Chris Giles. 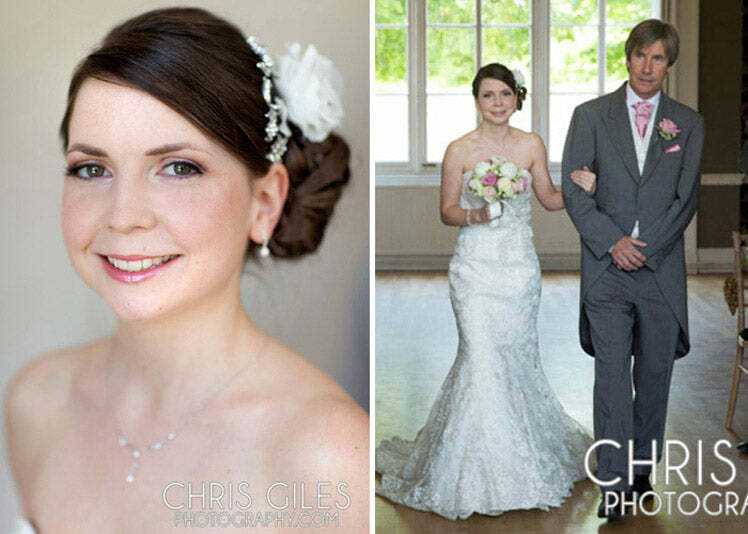 Chris Giles of Chris Giles Photography specialises in Weddings and Portraits and recently had the pleasure of photographing Melanie and Tom’s fabulous wedding at Nonsuch Mansion, Cheam. 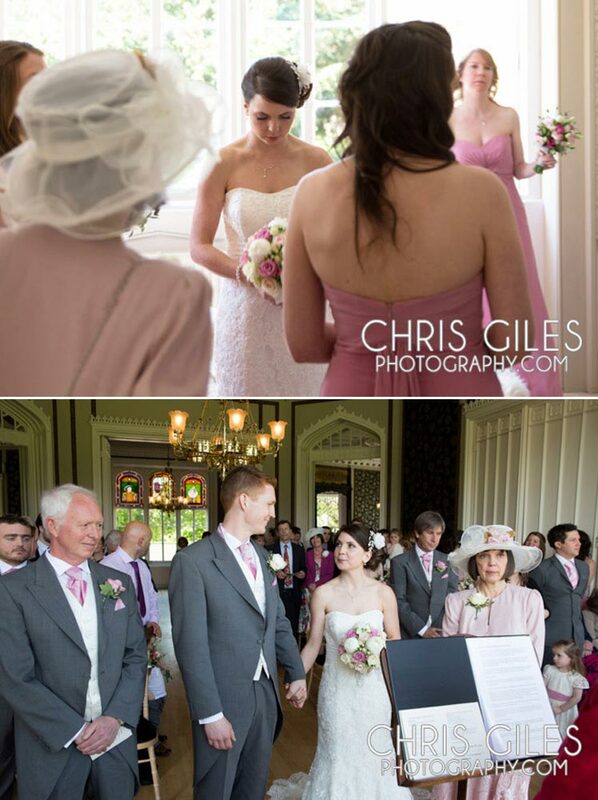 Melanie and Tom chose a beautiful dusky pink and ivory Classic English Wedding style with a Love Bird theme for their special day and Melanie looked absolutely fabulous in her full length beaded Aurora Bride gown. To compliment her style Melanie chose our gorgeous Flower of Elegance Headpiece which exquisitely combines romance and purity with 1940s vintage glamour. 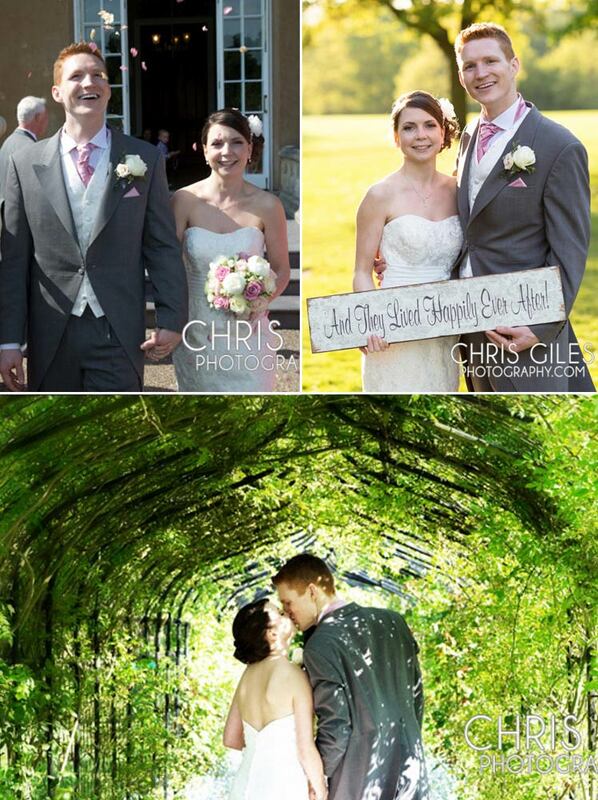 Chris explains that he “always likes to be as creative as possible when it comes to shooting a wedding day. It pays to respect tradition but I’ll try to be offbeat and kooky where I can too. Inspiration is everywhere you look and often it comes from elements of the couple and those around them. It’s very important that I connect with everyone and take the emotional pulse of the day. This will tell me where I need to be photographically and allows each wedding I shoot to be unique and a reflection of the people there”. “Shoot from the Heart not the Hip” is something that Chris says a lot. 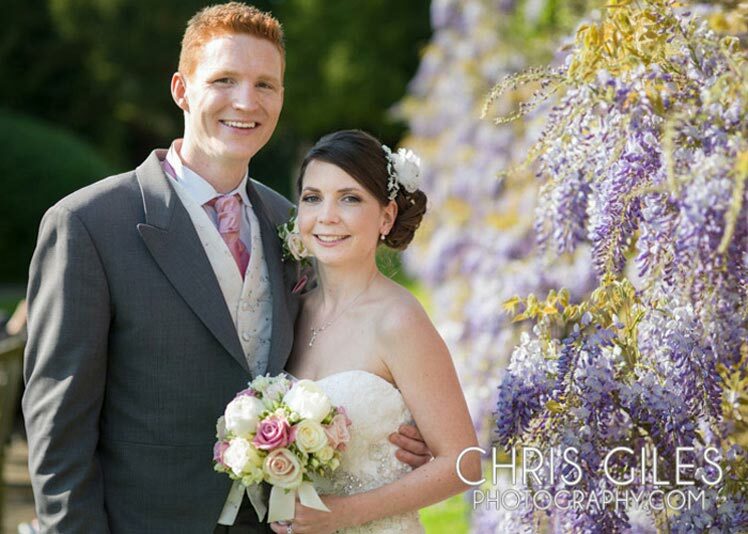 We always like to take expert advice from photographers for couples who are planning their weddings and Chris’s words of wisdom are concentrate on what counts! He explains that “People and relationships make the day. Mingle lots, but allow pockets of time for you both to touch base and don’t sweat the small stuff….. as it’ll be over in a flash and you should take in every moment”. A semi-unplugged wedding is a wonderful thing. Everyone has a right to take photos but remember your guests are there for you so don’t be scared to ask them to avoid using their cameras and mobiles at times when you feel they should be connected to your day especially during the ceremony. Set boundaries in advance of the wedding day and you’ll be rewarded many times over. Lastly, it’s easy to overlook how much history you have with guests on the day, so remember the connection you have with those people as you go through the excitement.